"VERDICT: Lee's perfectly crafted dystopian thriller will keep readers up all night and have them begging for a sequel." "A tight, fast-paced thriller, with a winding, twisty plot and an intrepid protagonist." "[A] moving dystopian thriller... Lee gets readers to invest in the characters, particularly her well-defined and sympathetic lead." 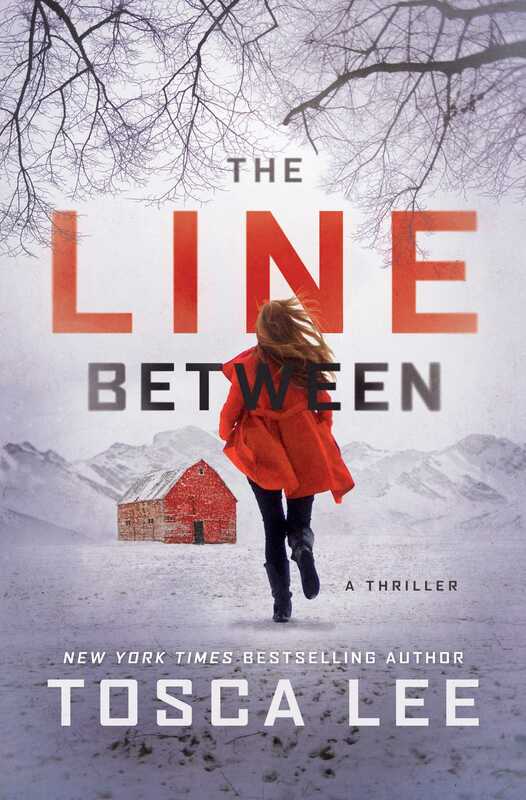 "The perfect blend of spellbinding and heart stopping, The Line Between is an absolute must-read. Tosca whips up a thriller that is emotionally wrenching yet utterly believable, the kind of story that is sure to leave readers breathless and begging for more." "Everything you want in a thriller: suspense, intrigue and best of all, a truly captivating protagonist to cheer on. Throw in a white-knuckled race from Chicago to Colorado over backroads that this author obviously and respectfully knows well. This one's a slam-dunk that'll keep you reading, non-stop until the very last sentence." "A fast-paced and deeply human story. Tosca Lee has put together a terrifying apocalyptic scenario, made all the more real through the eyes of a protagonist who comes to life on the page." "An utterly immersive tale of apocalyptic cult manipulation and all-too-possible infectious epidemics, this story will have readers holding their breath on every page and dearly wishing for their own basement survivalist shelter. Perfect, chilling entertainment." "An edge-of-your-seat, nonstop, apocalyptic rollercoaster of a thriller! As only she can, Tosca Lee pulls the reader in and refuses to let go until the final heart-pounding page!" "Wynter's daring escape draws the reader into a maze of intrigue and false realities, as a bona fide apocalypse grips humanity. This frighteningly topical page-turner from Tosca Lee is a wild ride that will leave you breathless." "A tremendous thrill-ride that is sure to linger long after you turn the last page. With compelling and memorable characters, this is a true run-for-your-life, end-of-the-world, amazingly realistic tale full of twists and turns that will have your heart-pounding." "The Line Between is a nail-biter.... one horrific thriller fans will want to read. The conflicting urges rampant in the story resonate with our world today, making this both a great read as well as a cautionary tale." "THE LINE BETWEEN by Tosca Lee had me captivated from page one!... I give this book 5 stars and plan to keep it in my Bug Out Bag, along with my MREs, first aid kit and Swiss Army knife."